The White Mulberry originates from China, although it is now widely cultivated across the globe. 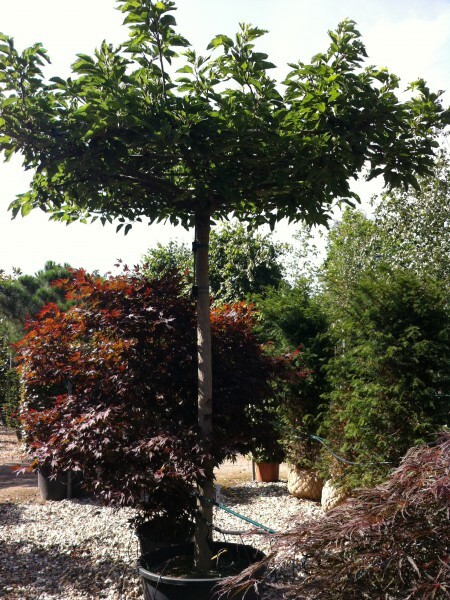 It is a beautiful, small-medium sized tree with a rounded habit. Leaves vary depending on the age of the tree; younger specimens will have intricately lobed leaves up to 30cm in length whereas older trees have smaller, unlobed leaves between 5-15cm. This tree produces white fruits, which are edible and sweet in taste.